Hardly anything affects how good we look (and feel!) as much as sleep – or the lack of it. To help you prepare for a perfect night’s sleep, Neom has created the Scent To Sleep range, specially formulated with natural fragrances that not only smell sublime but also have a relaxing effect on both mind and body. With softening marshmallow and coconut extracts to soften skin, plus a heavenly cocktail of English lavender, sweet basil and jasmine essential oils, this cloud-like bath foam is the ideal first step in your night-time ritual. Set the scene for a blissful, reviving night with Neom’s Perfect Night’s Sleep Bath Foam, which is ideal for all those who need help to ‘switch off’ pre-bed, soothing stresses and assisting relaxation with its dreamy blend of natural ingredients. To soften and smooth skin, marshmallow and coconut oil unite with soothing aloe vera and sweet almond oil, nourishing your skin from top to toe. 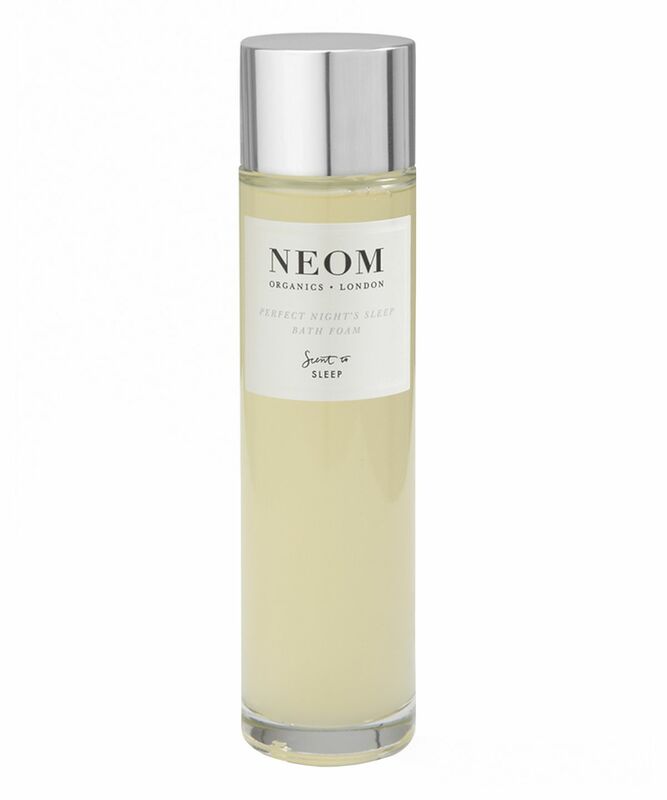 Completing the air of pre-sleep haven, this cloud-like bath foam is sublimely scented with Neom’s trademarked Tranquility fragrance, a complex blend of 19 of the purest possible essential oils, including English lavender, sweet basil and jasmine, all of which are renowned for encouraging relaxation and helping you on your way to the land of nod. Create your own pre-sleep haven. Pour a capful of foam into running water before getting in and soaking for at least 10 minutes. Use some simple breathing techniques…in through your nose for 7 seconds and out through your mouth slowly for 11 seconds. Let a feeling of calm wash over you. Just like soaking in silk.